1.761,34 € прибл. 126.246,33 руб. Hofner 500/1 Vintage 62 Electric Bass Guitar, 1962 Reissue, German Spruce Top, Flame Maple Back And Sides, Rosewood Fingerboard, Antique Brown Sunburst. The Hofner 500/1 Vintage 62 is based on Paul McCartney’s 1962 Violin Bass. The ’62 bass has delighted Hofner aficionados by replicating details of the original. For example, the “strip” machine heads, the slot-head screws on the hardware, and the two-piece neck are authentic touches that connect this instrument to an earlier time. 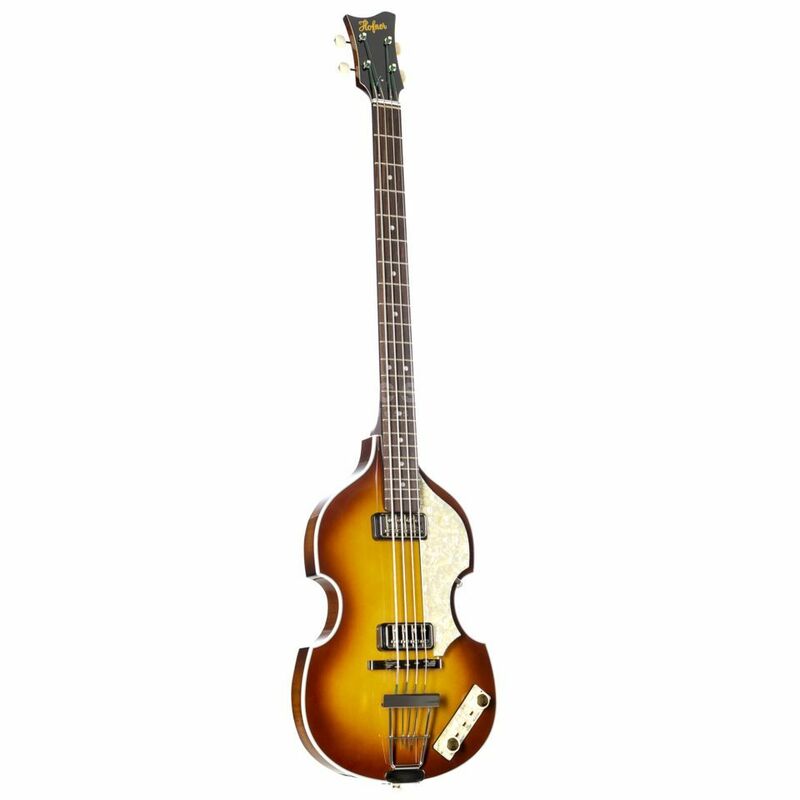 This replica of Paul’s bass historically accurate enough to satisfy even the most demanding Beatles fan.